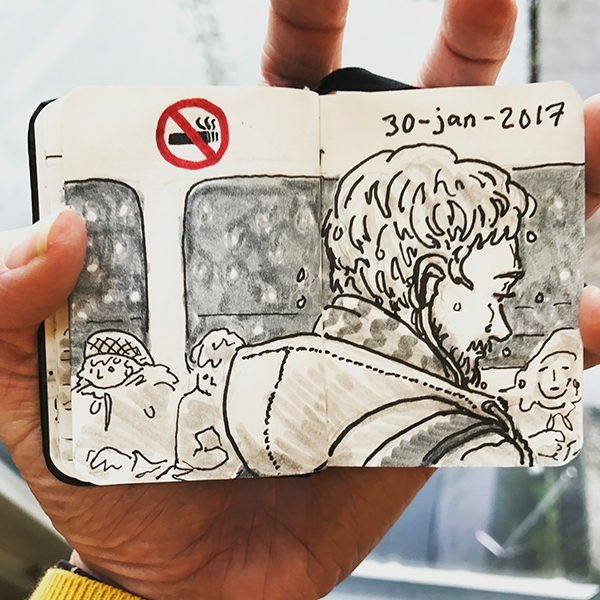 Faces on the Ferry is a multimedia illustration project that started in a tiny sketchbook on the NDSM ferry in early 2017. My concept has ambitiously expanded into making these miniature portraits into sets of seasonally distinguished silkscreen prints, and eventually showing these along with the film of the sketchbook as an art installation. 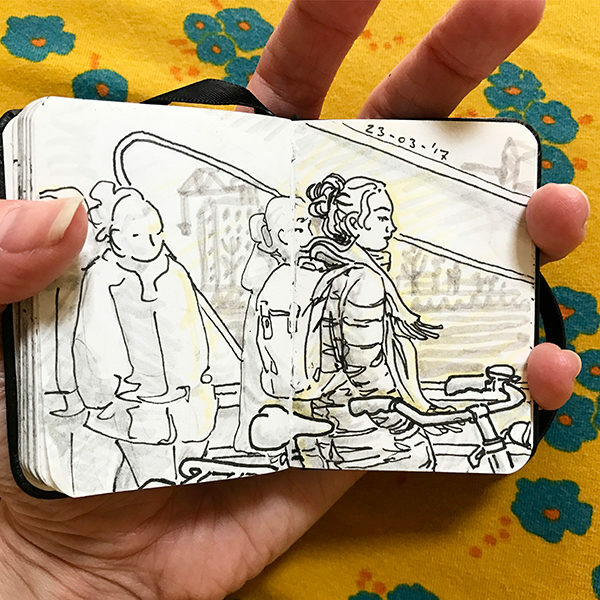 I feel like it captures not only the area I live in (Amsterdam, specifically the NDSM in the North), but something about the special journey of the ferry and the various ways people quietly fill their time. I’ve already gotten a surprising amount of media attention, from drawing live on the evening news to being contacted by the transportation company to hang posters for the campaign on the seven ferry lines in the city. The Kickstarter runs until 23 June. Please have a look and sponsor me if you can!